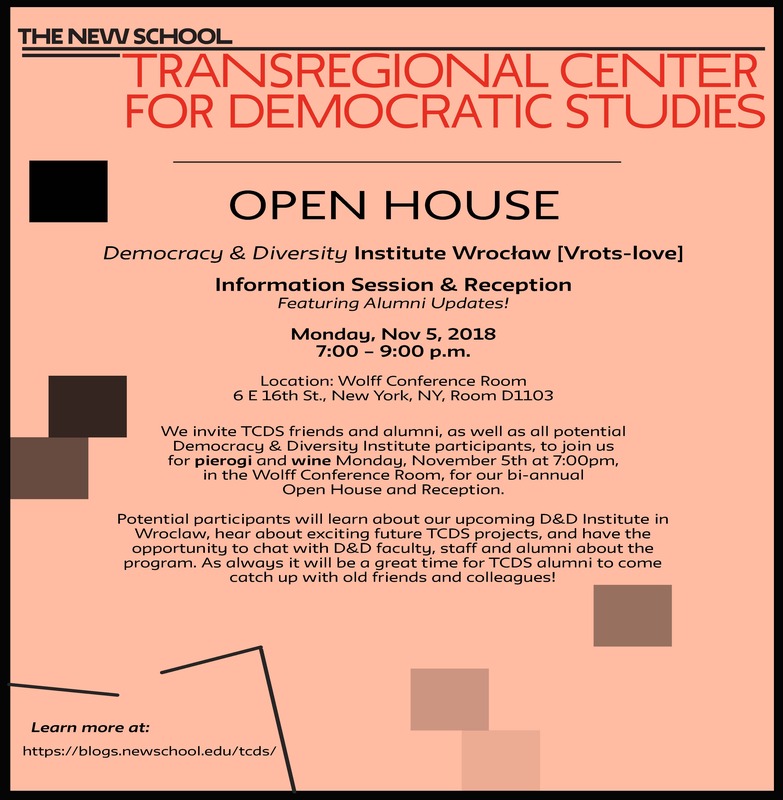 We invite TCDS friends and alumni, as well as all potential Democracy & Diversity Institute participants, to join us for pierogi and wine Monday, November 5th at 7:00pm, in the Wolff Conference Room, for our bi-annual Open House and Reception. Potential participants will learn about our upcoming D&D Institute in Wroclaw, hear about exciting future TCDS projects, and have the opportunity to chat with D&D faculty, staff and alumni about the program. As always it will be a great time for TCDS alumni to come catch up with old friends and colleagues! ← DEMOCRACY & DIVERSITY INSTITUTE KICKS OFF IN WROCŁAW, POLAND!